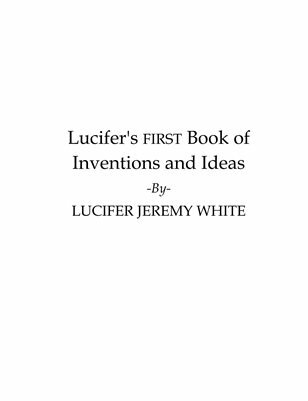 This is Lucifer's first book of inventions that has many pages of ideas for anyone to freely use.. Unless any one of them has a patent on it. It also is a good book for sparking imagination. This is a new, free, public domain book with many good ideas.